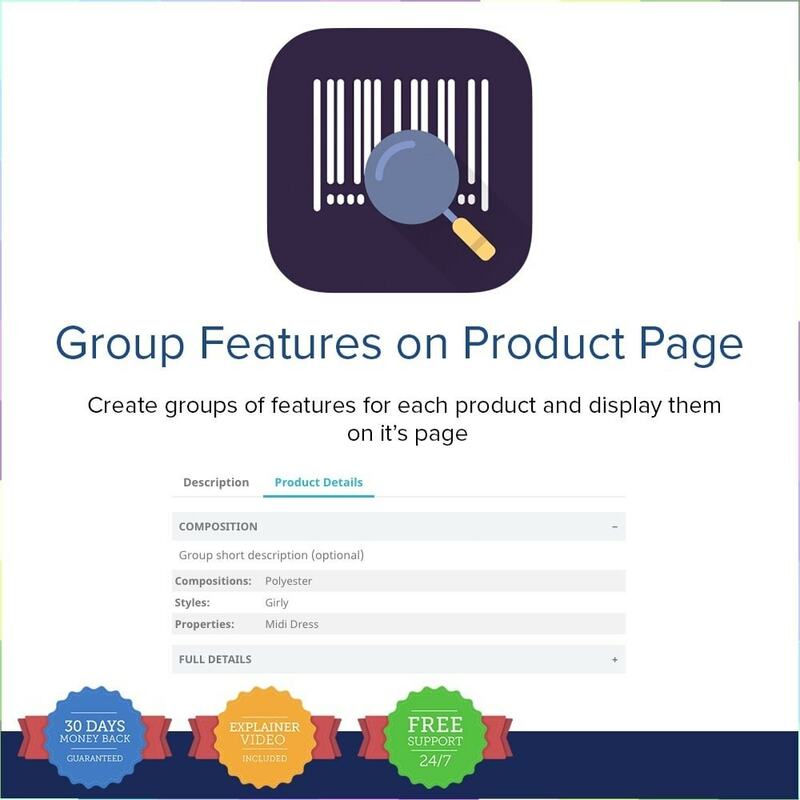 Our module is bringing all the necessary features you need to easily create groups of features for each product separately and display them on it's page. 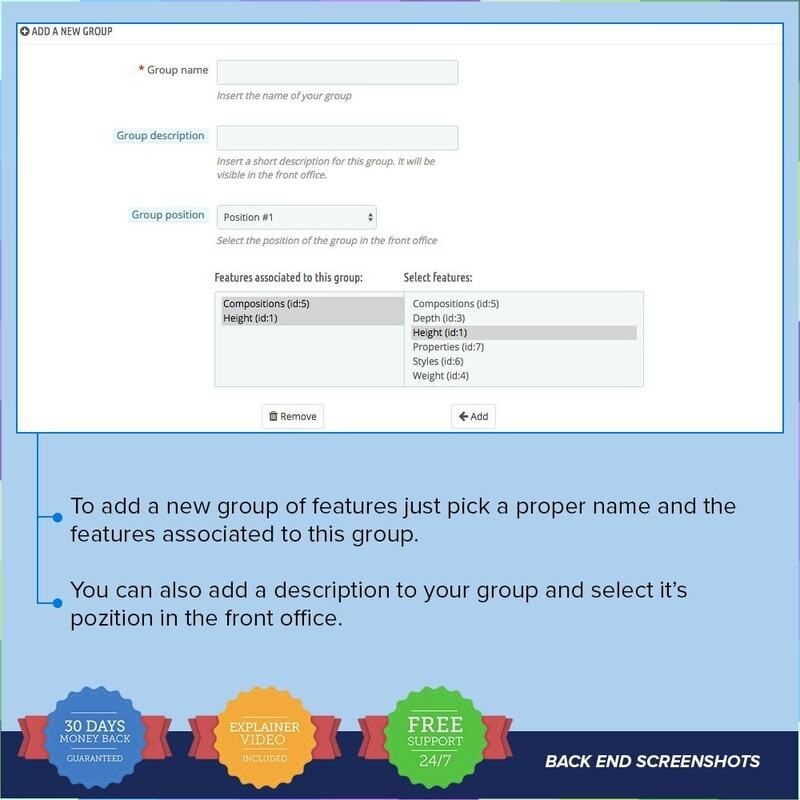 Most complex utility so you don't need to buy more then 1 module. 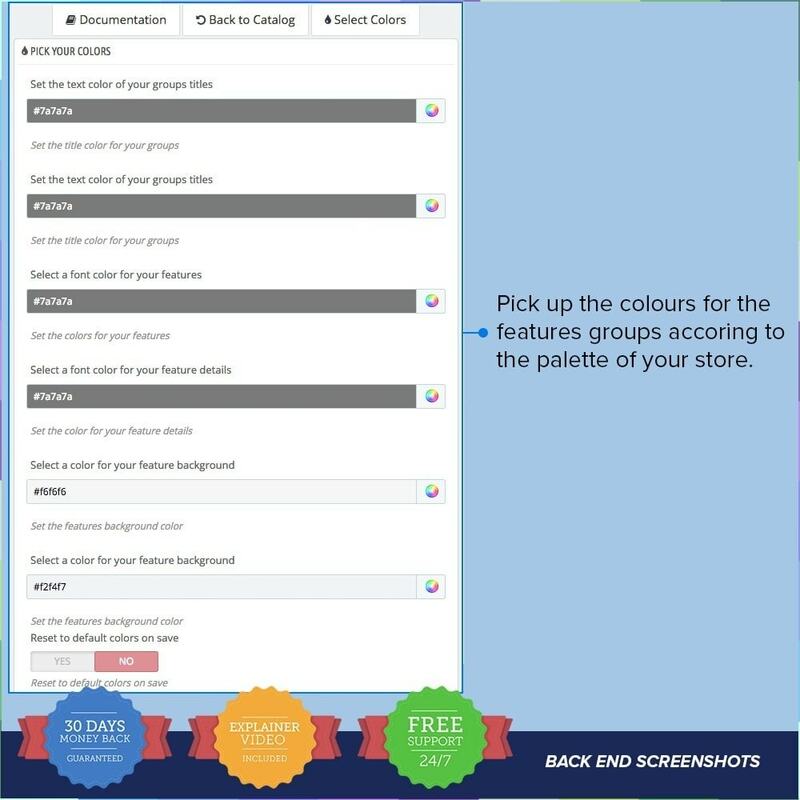 This module will help you create groups of features for each product from your shop, and display them nicely organized. 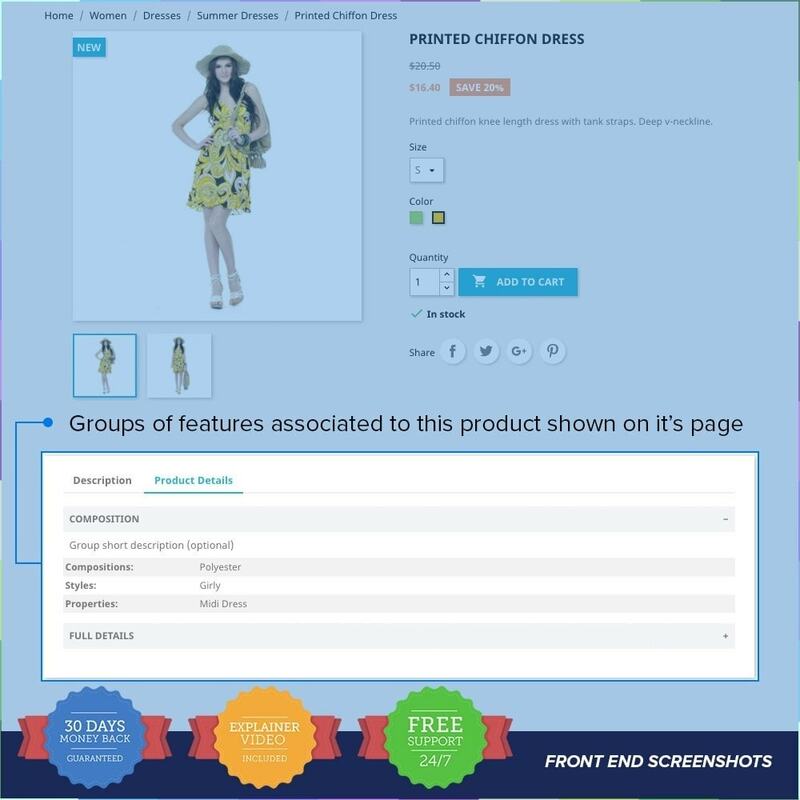 Filling in the product features will be faster and easier with this module, because you will only see those features that are necessary for the product category. 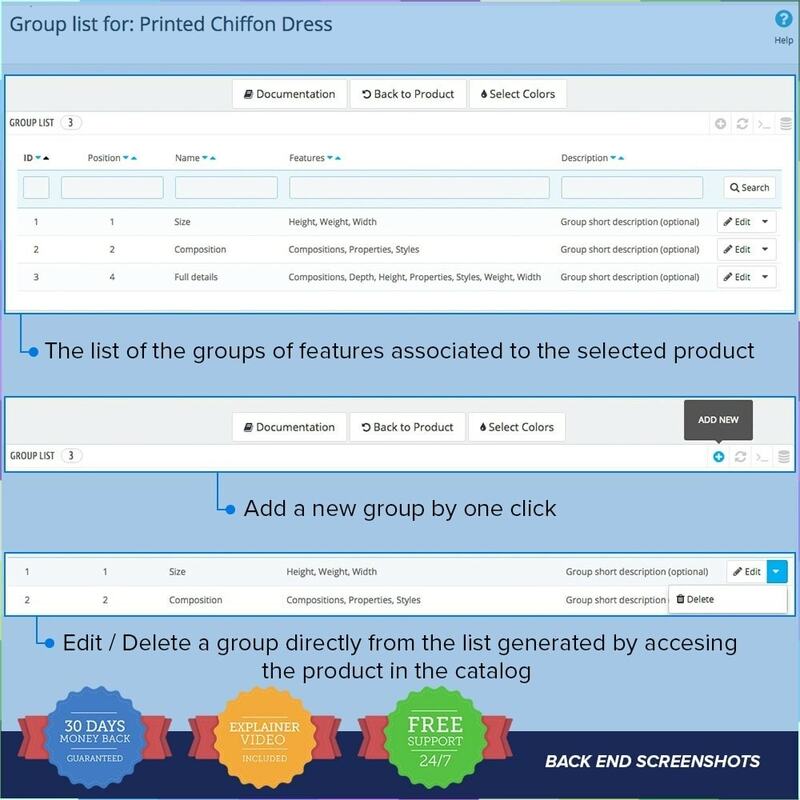 Customers will be able to hide or show the selected groups and easily browse through all the features blocks, or just preview the block they need.